Around the end of the sixth episode your eyes will protest the glaring yellow credits scene, but that shouldn't stop you from watching "just one more episode" of Tina Fey and Robert Carlock's hilarious new sitcom. 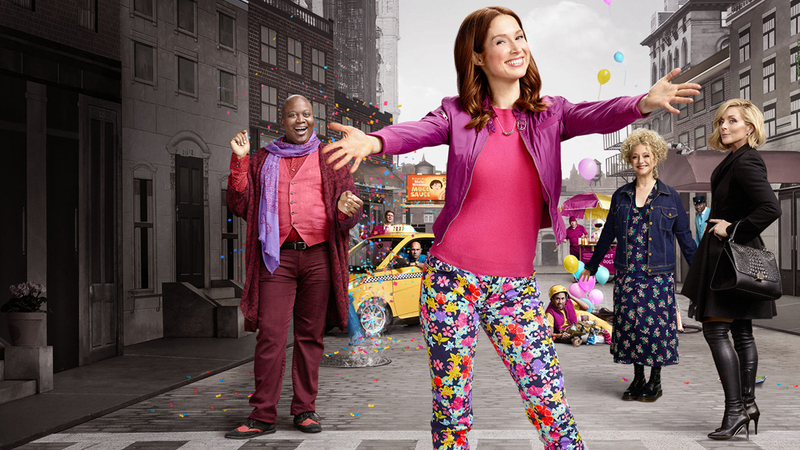 "Unbreakable Kimmy Schmidt" ended a spectacular first season with many cliffhangers, opening up a whole world of trouble for Kimmy Schmidt (Ellie Kemper) and her friends. For those of you who haven't watched the first season, do it now. I didn't know what to expect from the second season of "Kimmy." Robert Durst (Fred Armison), also known as the Reverend (who had kidnapped Kimmy and the other mole women), was put in jail at the end of season one. With no new villains to face, the show didn't seem to have any direction left. The new villain, however, is Kimmy's mind. Although Kimmy is strong, smart and brave, her time in the bunker still left her beaten down. Kimmy decides she needs therapy and begins to meet with a drunk woman, who happens to be a therapist by day and party animal at night. Tina Fey does an excellent job playing Andrea Bayden, the alcoholic therapist, who helps Kimmy realize that some of the coping mechanisms she learned in the bunker aren't healthy in the real world. Together, Andrea and Kimmy begin to work on their problems, leading to a surprising new character at the end of the season. There are quite a few new characters introduced in season two, all with their own hilarious quirks. One of my favorites is Deirdre Robespierre (Anna Camp), a high-society mom competing with Jacqueline White (Jane Krakowski). The feud is hilarious in its inanity. Deirdre is trapped in her high-society marriage, unable to use her college degree to do anything more than sit idly at auctions with her husband. To break the monotony, she becomes "frenemies" with Jacqueline, and it devolves into a competition spanning motherhood to charity events, of which Kimmy must do most of the hard work, as always. Meanwhile, Jacqueline is fighting her own quest to help her Native American tribe. After becoming more of a burden than anything else, she leaves North Dakota to raise money in New York, an effort that ends with the realization that sometimes you just can't get people to care. This follows with the trend of the show to leave us with brutal honesty about some facts of life, then pick us up again with humor. All hope is not lost for Jacqueline, however, as a new friend may be able to help her make some waves. Titus Andromedon (Tituss Burgess), the most unashamed abuse of the gay best friend archetype, continues to play a large role in the series. After tying up the plot line involving his wife, who was introduced at the end of season one, Titus begins dating. His partner is almost the exact opposite of Titus, but the relationship works and provides excellent fodder. If season one was about Kimmy coming to terms with her kidnapping, season two expands into a breathless exploration of the different people Kimmy has met and, invariably, helped. The show's portrayal of many types of life — from the poor neighborhoods of Brooklyn to the streets of high-class society — gives viewers a chance to see things from different perspectives and provides witty insight into modern society. Besides being a great watch, "Unbreakable Kimmy Schmidt" teaches life lessons and humility, balancing a dark backstory with entertaining characters and witty humor.